In his native Australia, the Australian Cattle Dog is one of the most popular dog breeds. This sturdy toy and sheepdog is intelligent, attentive and spirited, attached to his owner and usually suspicious of strangers. As a workhorse, he demonstrates absolute reliability and an excellent sense of duty, as a family dog, he is most like everywhere. At the same time, the Australian Cattle Dog is also a demanding dog, which needs a lot of exercise, employment and a consistent education. The Australian Cattle Dog originated as a breed from 1830 in Australia. The aim of the first breeders was to create a resilient working dog that could cope with the extreme climatic and geographical conditions of the Australian Inland. The ancestors of the Australian Cattle Dog were the working dogs of the first British settlers, as well as the Australian dingo, later probably also Kelpie, Bull Terrier and Dalmatian. In the course of the 19th century, the Australian Cattle Dog developed into Australia's most important hounds breed; The blue variety (blue merle) was first seen in exhibitions in 1897. In 1903, the breeder Robert Kaleski set the first breed standard. FCI recognized the Australian Cattle Dog in 1979. 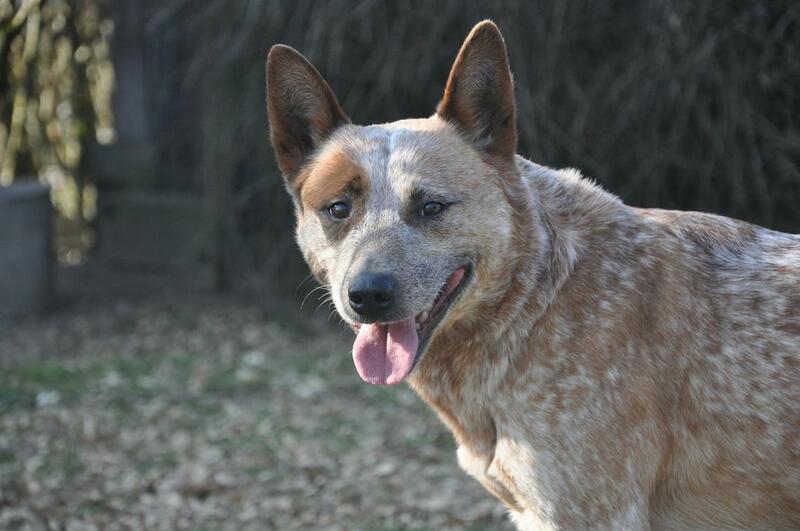 The Australian Cattle Dog belongs to the group 1 "Hats and Cattle Dogs" and into the section 2 "Cattle Dogs". He reached according to FCI standard a withers height of 46-51 cm in males and 43-48 cm in females. The Australian Cattle Dog is a strong and compact dog that gives the impression of flexibility, endurance and strength. 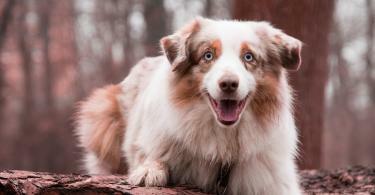 He has smooth, hard hair with dense undercoat and is bred in the colors blue and red, each also speckled. Furthermore, in all animals also spot or different colored badges, especially on the head, possible. The Australian Cattle Dog has a strong head, which is in harmony with the overall appearance. The skull is broad and slightly arched with a minimal but recognizable stop. The catch is strong and compact. He tapers to the tip of his nose. The cheeks are muscular but not coarse or prominent. The Australian Cattle Dog also has medium-sized, oval eyes of dark brown color and muscular, rather small-looking ears. These stand upright, but are raised even more in attention. The neck is remarkably strong and muscular. The Australian Cattle Dog has a long body with a horizontal upper profile line. The back is strong, the loins are wide and muscular. The croup is relatively long and drops off towards the tail. This in turn is set low and continues the croup line harmoniously. It extends to the ankle and is slightly higher in a slight arc, in movement or attention. The muscular chest of the Australian Cattle dog is relatively deep and of moderate width. Shoulders and hindquarters are strong and muscular. Originally bred as a resilient drooling dog, the Australian Cattle Dog has all the qualities that distinguish it in this position. He is an attentive and alert dog and always appears bold. With his innate protective drive, he defends the house, farm and family, as well as the herd of cattle entrusted to him. He shows a natural mistrust of strangers, but is still a sociable, docile dog. His self-confident nature requires a correspondingly strong but just education without harshness. The Australian Cattle Dog is also, according to its origin and use, a very robust and agile dog with a strong desire to move. He needs a lot of exercise every day and wants to be mentally challenged as an intelligent and attentive dog. 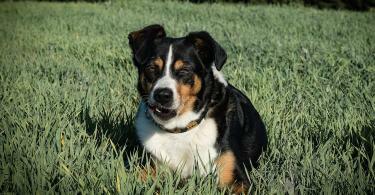 As a family dog, he enjoys being fully integrated into the family and seeks to be close to his people. In general, the Australian Cattle Dog shows a strong individuality and takes an active part in family life. If he is not sufficiently occupied or led with the necessary consequence, his impetuous and impatient nature will easily emerge. In doing so, he expresses his needs in a very direct manner, which can sometimes be tiring for a less assertive owner. In its Australian homeland, the Australian Cattle Dog is still used as herding trotter and is also very popular as a family dog. 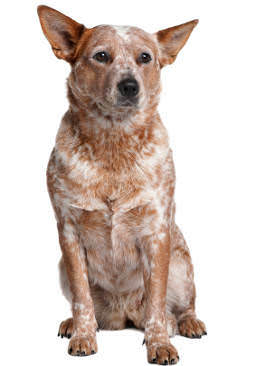 Like other breeds of dog breeds and dog breeds, the Australian Cattle Dog has retained an independent and self-assured character, which requires a strong and consistent leadership. 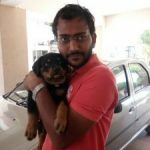 He is therefore no more suitable as a beginner dog as well as for people who do not have the will or the ability to keep their dog busy daily. An agile and agile dog, the Australian Cattle Dog copes well with dog sports like Agility, where he is often seen in his homeland. It is also suitable for watch tasks, where it proves to be attentive and reliable, without showing an aggressive behavior.